I went on a hike on Saturday in the Columbia River Gorge. Have not done a waterfall hike in a few months it seems like, so it was good to get out. The trail we chose actually has two waterfalls within the first mile. 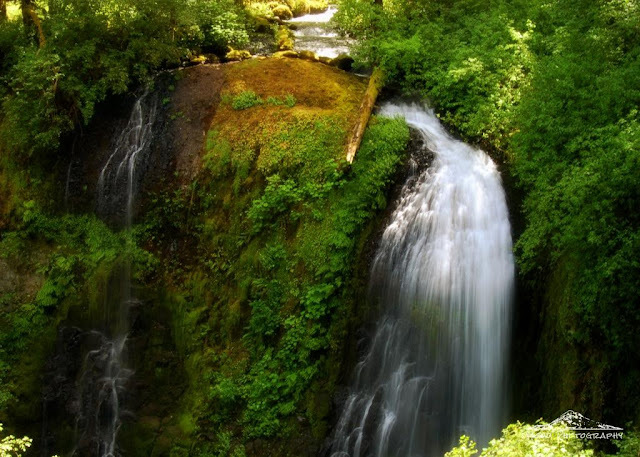 We will have to go back to visit the first one, Elowah Falls. This is the 2nd falls which is just above called Upper McCord Falls. The water splits and creates two waterfalls. The left one was not running very heavy this time of year, but you can still see a trickle. Lovely capture! Everything looks so lush. Beautiful! Your photo brings back fond memories. I lived in southern Oregon in the mid '80s and often went up to wander and photograph the Columbia River Gorge. Have a great week.